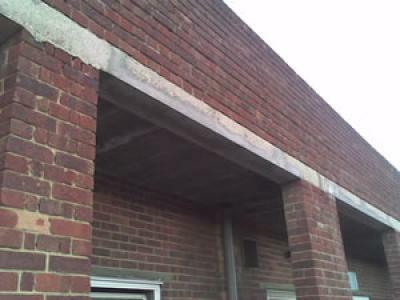 Concrete Renovations Ltd were called in to repair the rear lintel of a parade of shops in Kent when a worker found a piece of concrete in the space were she normally parked her car. 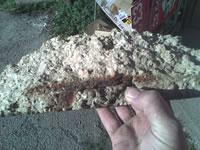 Imagine finding this piece of concrete lying on the floor outside your workplace. Fortunately this piece of concrete fell harmlessly in the night, avoiding people and property but it isn't difficult to imagine the possible consequences if it hadn't. 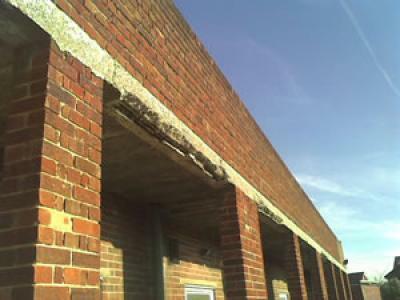 Repairs where carried out by our specialist operatives using the Sika Monotop concrete repair system.